It is only in the face of death that man’s self is born. The soundtrack goes silent. The swelling, propulsive cacophony of the previous scene ends in a scream, and then there is nothing, a silence so total and sudden you can feel it in your bones. 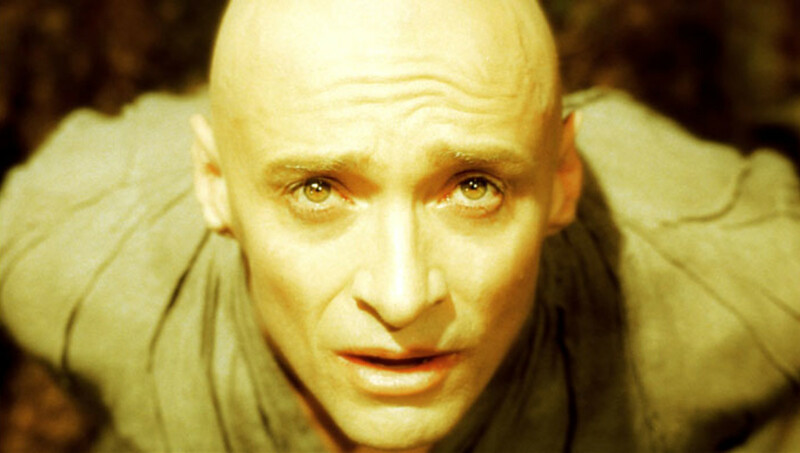 A bald man (Hugh Jackman) sits in a translucent bubble, a biospheric spaceship floating through outer space towards XIbalba, a distant, golden nebula that houses a dying star. He meditates, does t’ai chi, and tends to the giant tree he’s brought along with him, periodically eating bark from its trunk to sustain him. “You’ll make it,” he whispers to the tree lovingly, “I won’t let you die.” It’s nearly ten minutes into Darren Aronofsky’s The Fountain, and we have no idea where we are. As it turns out, though, where we are at any given time in The Fountain is almost beside the point. It’s a film that jumps between its three timelines—each separated by 500 years—in order to transcend them. Like an epic poem or a grand symphony, The Fountain builds its world through a series of repeating themes, motifs, characters, and symbols, each echoing and overlapping throughout the film’s various narrative strands. The lumbering cinematic prose that fills out many films is replaced instead by a poetic resonance found in its imagery, its beautiful, driving score, and a grappling with our deepest existential fears. Released into a cultural moment that prized surface materialism and winking irony (and still does), The Fountain risks passionate earnestness, deep sincerity, and cathartic awe—offering countless opportunities for cynics to giggle or roll their eyes, but offering searchers and sufferers a way forward. In its drive for transcendence—a drive that echoes its main character’s own journey from darkly-lit denial to bright, wide-eyed acceptance—The Fountain disregards a good deal of what we’ve come to expect from movies. It doesn’t talk down to us or hold our hand through its labyrinthine narrative, instead challenging us to simply invest in its emotional beats and accept the places it wants to take us. And, although Aronofsky insists there is a correct way to read the film—“It’s very much like a Rubik’s cube,” he told The Washington Post, “where you can solve it in several different ways, but ultimately there’s only one solution at the end”—he’s never revealed what that way is, preferring to let viewers assemble their own meaning from its many puzzle pieces. Which is perhaps why, out of all the memorable pictures he’s made over the past 20 years, The Fountain is still the one that inspires the most passionate defenses and calls for reappraisal. And it doesn’t seem too far a stretch to suggest that Aronofsky’s own years-long struggle to make The Fountain wound up, in many ways, echoing the film’s primary motifs: death and rebirth, denial and acceptance, creation and destruction, darkness and grace. Perhaps no other work of Aronofsky’s encapsulates this as much as The Fountain, a long-gestating film that took nearly seven years to make, and which still elicits strong reactions over a decade later. When we think about epic movies we tend to think of lengthy films with big budgets and grand sets, but rarely do we think of shorter, intimate ones. Yet Aronofsky’s deeply personal, sprawling epic runs only 96 minutes and was shot almost entirely on a soundstage in Montreal. Aronofsky had, of course, infamously intended to make his existential passion project into a much bigger film, epic both in size and scale, with Braveheart-style battle scenes and outsized sets, including a full-on pyramid built from scratch. The studio poured $18 million into pre-production costs to fund Aronofsky’s bold vision, but eventually pulled the plug in 2002, largely due to the withdrawal of the film’s main star, Brad Pitt, who left the project after two and a half years over creative differences—and decided to star in Wolfgang Petersen’s sword-and-sandals epic, Troy, instead. At the time, it seemed like a disaster, the first true dent in Aronofsky’s rising career. Having lived with the film for so many years only to have it shuttered at the last minute, the director tried his best to let it go and move on, traveling through China and India by himself, attempting to work through what he later described as “a pretty dark time for me.” But, in the end, it turned out to be one of the best things that could have happened to The Fountain, because it eventually forced Aronofsky to return to his roots as a scrappy independent filmmaker in order to get his vision out into the world. Because, try as he might, The Fountain wouldn’t let him go. Like so many of his own protagonists, Aronofsky couldn’t walk away from something that consumed him. One night, seven months after the film was shut down, he hit upon the idea of making a much smaller version—one which wouldn’t rely on huge studio support or star wattage, and would allow him the freedom to tell the story he wanted to tell. He quickly got back to the drawing board, feverishly writing a new, pared down script in just two and a half weeks. Hugh Jackman signed on shortly after, and suggested Rachel Weisz, Aronofsky’s partner at the time, for the female lead. By 2005, the cameras were finally ready to roll. What ultimately emerged was a time-hopping, sci-fi epic; a trippy $35 million “love poem to death.” Critics were decidedly divided over it right from the start and the general public failed to embrace it. The Fountain remains, to date, the biggest “flop” of Aronofsky’s career—though thankfully it’s found new life as a cult film in the intervening years, championed fiercely by those who connected with it. “Of all my movies, to the people that are fans, it’s almost like a cult religion,” he told an audience in 2012. “I’m constantly getting long letters from people saying it helped them come to terms with something.” As a result, while few people today are still talking about Night at the Museum, Superman Returns, or The Da Vinci Code—to name but three of the top grossing films of 2006—or debating The Departed, The Queen, or Letters from Iwo Jima (all Best Picture nominees from that same year)—The Fountain, the 171st best grossing film of the year (lower, even, than Larry the Cable Guy: Health Inspector), still generates plenty of lively discussion 11 years later. 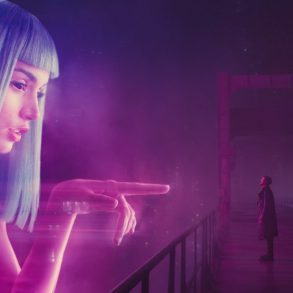 There is a wealth of competing explanations of the film to be found online (several of which can be found in this fantastic video essay), and plenty of fans still passionately debating how to interpret its byzantine plot, existential themes, and psychedelic ending. The Fountain’s shape and scope—not to mention its grandiose themes—are epic, but its story, when stripped down to its barest ingredients, is a simple one: A love story about a man (Jackman) whose beloved wife (Weisz) is dying, his struggle to accept her impending fate, and his eventual acceptance of death as both an act of creation and “a road to awe.” No matter how you read the film beyond this, this is its essential DNA, the axis around which Aronofsky builds out his narrative. Its opposing forces—eros (the drive to live) and thanatos (the death instinct) in Freudian terms—fuel the entire story, an either/or binary used to ratchet up existential tension, before the two combine and (literally) explode in the film’s transcendent final moments. We see, then, what Aronofsky seems to have been getting at all along: Life and death are not opposing forces, but rather parts of the same circle—an eternal dynamic between creation and destruction, each informing and illuminating the other. The first time I saw The Fountain, overwhelming as it was, it seemed to be a story of reincarnation: three versions of the same man, separated by 500 years, trying to overcome impossible odds and defeat death. And, in the futuristic timeline, he finally does—not by finding eternal life or being reunited with his long-lost wife, but rather by opening up and accepting death, full of awe, as an act of creation. Now, many years and several viewings later, I’ve come around to the more widely accepted view that the entire film actually takes place in the present timeline. In this reading, Tom and Izzi are simply a man and a woman, deeply in love, who approach the tragedy of her fate in vastly different ways. Izzi, at first, is scared and admits as much. But she gradually moves away from fear and towards acceptance. Tom, though, can’t accept it, fighting it with every ounce of his being. And so Izzi writes him a book. The book, entitled “The Fountain,” tells the story of a conquistador named Tomás, and his relentless quest to find the Tree of Life—whose sap provides immortality—for his beloved Queen Isabella. It’s a tale largely intended for an audience of one, a metaphorical version of the story Tom and Izzi are living through, as he obsessively searches for a cure for her terminal cancer. She does him the favor of recasting his relentless, workaholic quest to fix her—often at the expense of spending actual time with her while she’s still alive—as a heroic conquistador’s courageous battle to find the Tree of Life. (“My conquistador!” Izzi exclaims to him at one point in the film, when he informs her they’re making progress at the lab. “Always conquering.”) But she gradually seems to understand that his obsessive quest to find a cure is effectively keeping him from processing, let alone accepting, that she will soon be dead. The more she lets go, the tighter he hangs on, and she soon comes to realize that the last, loving gift she can offer him is a path toward acceptance. “But I don’t know how it ends,” he responds. In the moment, he refuses to believe her, unwilling to agree to anything that acknowledges the reality of her death. “Listen,” she says, undeterred. She tells him a story about a Mayan guide she once knew, and how, when his father died, a seed was planted over his grave. In time, the seed grew into a tree and his father became a part of that tree—and then one day, a bird ate some fruit from the tree and his father flew with the birds. In a handful of interviews following the release of the film, Aronofsky suggested that The Fountain was actually part of an unofficial trilogy—along with Pi and Requiem for a Dream—that connect and overlap with each other in various ways. And at least on a thematic level, there’s certainly a throughline to be found when it comes to obsession and its discontents; each film, in its own way, illustrates the allure of an obsessive quest, followed by the destructive force of a singular fixation. But whereas both Pi and Requiem resolve in pain and suffering, in The Fountain, and only The Fountain, there is grace. In this way, the film perhaps becomes the endpoint to Aronofsky’s own particular existential crisis, brought about by his parents’ dual cancer diagnoses the same year he turned 30. 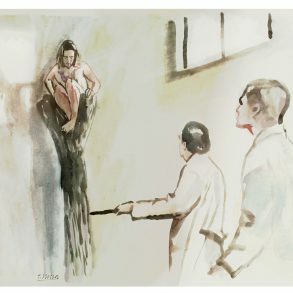 Pi (which represents the mind, and features a main character, Max, who literally burrs a hole into his brain with a power drill near the end of the film) and Requiem for a Dream (which represents the body, and proceeds to visit all manner of horror—withdrawal, amputation, sexual degradation, and electroshock therapy—upon its main characters) both seem to offer a viewer little reprieve. But The Fountain, the spiritual limb of Aronofsky’s mind/body/spirit trilogy, starts in darkness and moves (literally) towards the light, crescendoing into awe, catharsis, and release. Seen in this way, The Fountain becomes an answer of sorts to the relentless, frustrated quest for transcendence that runs underneath Aronofsky’s first two films. And that answer comes, not through knowledge or suffering, but rather through an act of creation and love—Tom, writing the final chapter to Izzi’s book, which becomes the film’s third, futuristic timeline—that allows for a working through and acceptance of grief and mortality. And, perhaps appropriately, it is this final timeline—as “Zen Space Tom” floats his bubbled spaceship towards Xibalba—which becomes the true litmus test for viewers; a divining rod between those who embrace the film as a wholehearted masterpiece and those who feel it’s an indulgent, pretentious mess. Aronofsky leaves a viewer no real middle ground here, stripping away a good deal of the traditional narrative conventions we’ve come to expect from our movies, while simultaneously ramping up the deep spiritual earnestness and existential motifs of the film, in a full-on push towards transcendence, cynics be damned. It’s a moonshot, but a calculated one; a film like The Fountain can’t possibly work for every single viewer—but those who do connect, connect deeply. “The feel of the experience is the important thing,” noted Stanley Kubrick, reflecting on 2001, “not the ability to verbalize it.” And, much like Kubrick’s head-scratching masterpiece—which Aronofsky’s film has drawn comparison to—The Fountain aims to get past that part of you that needs to make sense of it. While I’ve come to an understanding of what I think The Fountain “means,” it’s entirely subjective, forged out of repeat viewings and reflection, my logic-seeking brain desperately trying to wrestle this wild thing to the ground. And, while there’s certainly an intellectual pleasure to be found in putting all the pieces together, it pales in comparison to the original experience I had with the film, back in the middle of a cold and cloudy day in December 2006. 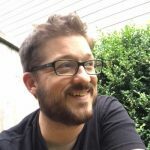 I walked out of the theater that day a different person than the one who’d walked in—changed, in some small way, on an almost spiritual level—and though I’d forgotten various scenes and specifics over the intervening years, The Fountain itself, and the feeling I had watching it, never really left me. All of which is to say: if you approach the film with the intention of solving it, you’re bound to fail, at least at first. But if you open yourself up to what it is and what it offers—and simply immerse yourself in its world—it just might change your life.